When operating a lubricated compressor, the resulting, naturally-produced condensate run-off will contain trace amounts of the lubricant used in compressor's compression chamber, or airend, harming the environment. To be good stewards of our environment, leaving it healthy and clean for our children, requires that the oil be captured before the water is released onto the ground, or into a drain. Consider also that The Clean Water Act of 1970 requires oil discharges such as found in compressed air systems, be disposed of in a prescribed manner. So, in addition to spoiling our beautiful earth, it is unlawful to dump contaminated water. 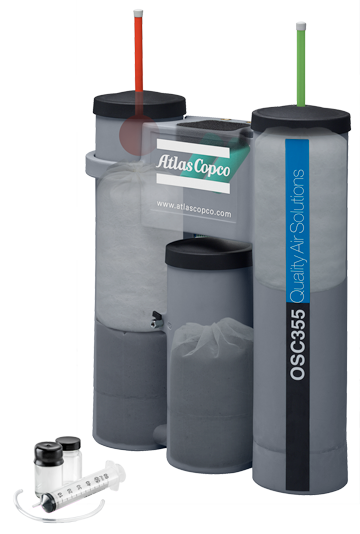 Industrial compressed air systems can discharge as much as 1 gallon of oil for every 50 gallons of water condensate produced. With the right condensate contaminate system, you can keep your cost of disposal to a minimum by discharging the clean condensate water into a drain after capturing the lubricant or oil. HTE Compressed Air Solutions provides industrial companies throughout Kansas, Missouri, and Illinois with condensate contaminate removal systems.